Gorgeous shot and clear focus. I've sort of half arranged to do the Pyremont Bridge walk with Tracey Stigwood when I'm next in Sinney Town. Are you in? Wonderful. My inexperienced but curious self will wait for info but meanwhile accept a fav! @swilde Sue, Sure. Although, are you sure it's the pyromnt bridge you are talking about, not one of the other ones? Anzac maybe? Yay for serendipity! 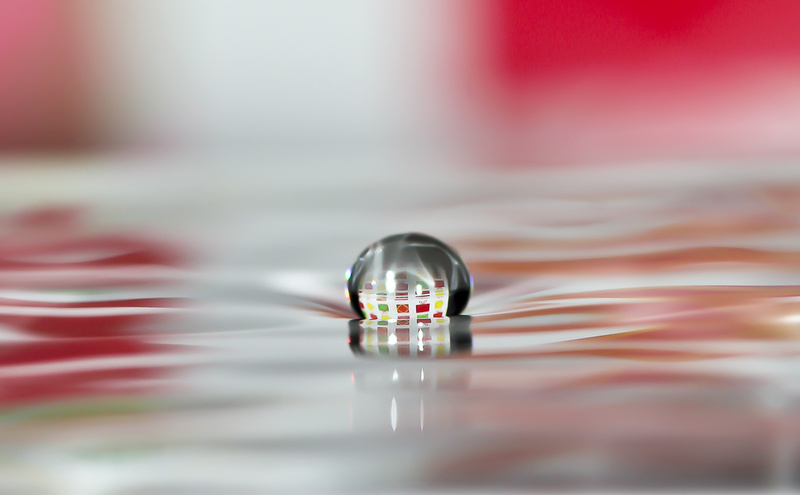 Beautiful water drop and fantastic water surface. Oh wow this is quite fantastic, a stunning shot! Gorgeous focus and just love the smooth water. Fabulous drop and reflection. Such clarity! Absolutely perfect timing and focus!! Great job! Nailed this one, my friend. Fav! fabulous capture! awesome clarity and reflection! Stunning .. great shot ...Fav!! This is really beautiful - Fav! WOW! When I see photos like this one, I realize how much I still have to learn about photography. Total fav!